Our goal is to make your therapy session the highlight of your day. While taking advantage of the salt room’s ability to improve physical health, Halotherapy also enhances mental well-being, much like one experiences when relaxing by the ocean. You will get comfortable in a lounge chair while the power of salt, along with dimmed lighting and music, all calm your senses for about 45 minutes. The action of the fine salt mist largely goes unnoticed. 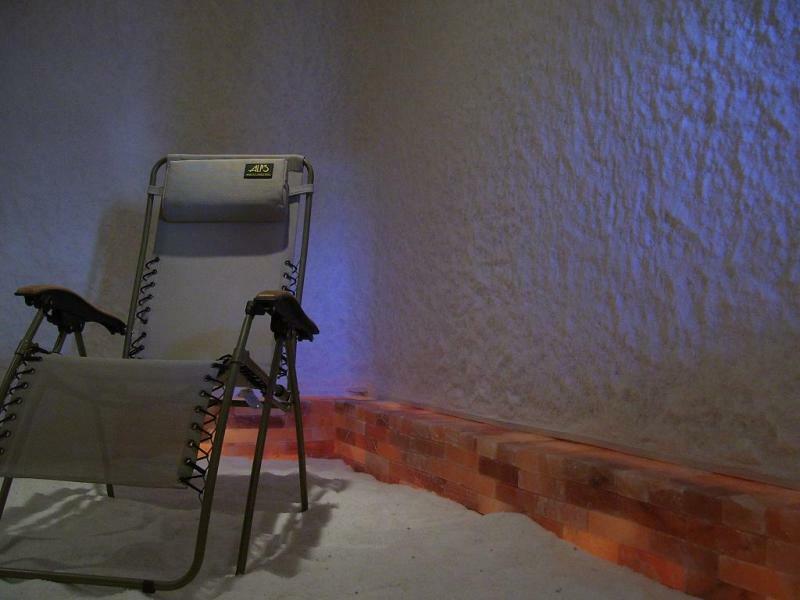 The salt room's temperature is generally 72-74 Fahrenheit, with 50% humidity. No side effects have been reported with Halotherapy, however some people will experience an increase in the production of mucus as the body begins to rid itself of allergens and other impurities. 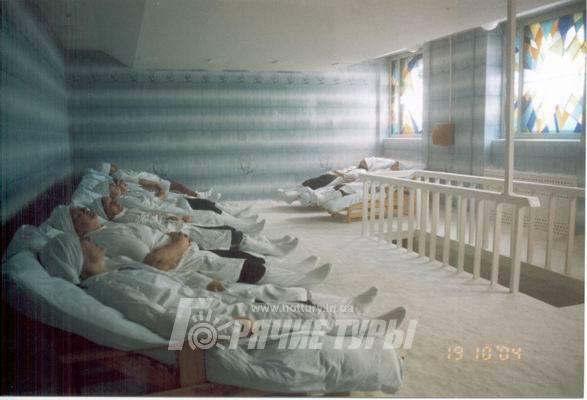 All who enter the salt chamber will be asked to put on disposable foot coverings to keep the salt on the floor clean. For children, please bring an extra pair of clean socks. And for those with long hair we typically ask that you wear a hair covering, as well, which is provided. Our bodies need salt to properly function. In fact, every cell in a human body contains salt. In order for metabolism, the transportation of nutrients, and the removal of unwelcomed substances from our bodies to occur, salt is required. However, our bodies do not manufacture salt, so we must absorb it from the foods and drinks that we consume. Twenty-seven percent of salt in a human body is found in the bones. If the body has too little salt, it extracts some from the bones, which can result in Osteoporosis. Salt is made up of sodium, an electrolyte which helps regulate electrical charges moving through cells to and from the brain, and chloride, which preserves a body’s balance of acids and aids in the absorption of potassium. Salt is also essential for healthy muscles, including those of the heart, for controlling bacteria in the stomach, and for transporting carbon dioxide to the lungs from cells in need of oxygen. 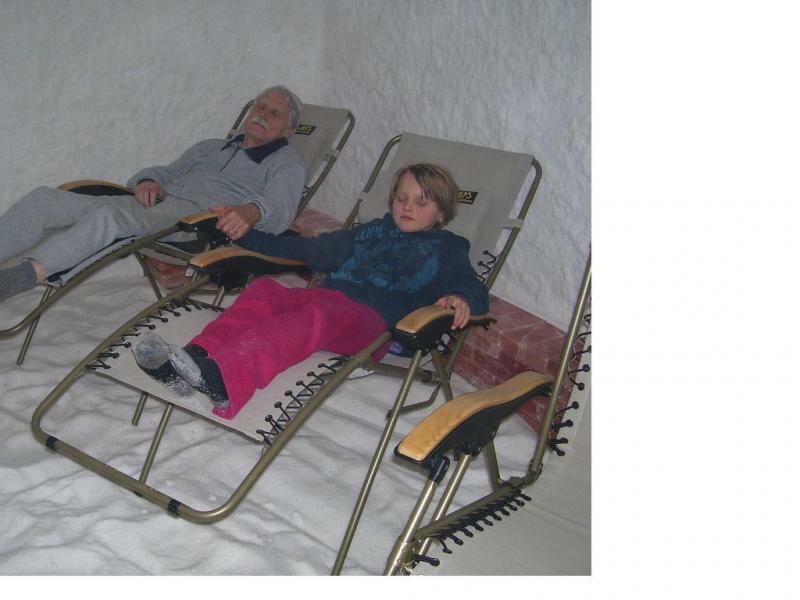 SALT THERAPY IS COMMON WHERE A COUNTRY'S HEALTH CARE SYSTEM FOCUSES ON HEALING, INSTEAD OF PROFITS. The application of Halotherapy facilitated the efficacy of drug therapy and a decrease of drug dosages. Half of patients who were administered inhalant corticosteroids for anti-inflammatory management could stop this therapy. One third of patients could lessen the dosages of corticosteroids. 60% of patients who were treated with inhalant beta agonists and sympathomimetic drugs managed to stop their intake or lessen their daily dosage. Long term follow-up revealed that 80% of patients demonstrated a 3 to 12 month-long duration of remission with the mean value being 8.5 months. Unlike the nebulizer that we are familiar with that uses solutions of glutathione and other liquids which are nebulized and inhaled, Halotherapy uses dry aerosol and so the experience for the patient with a respiratory condition is much different. Instead of feeling as if he or she were drowning or suffocating on the excess fluid, the patient is completely comfortable with the humidity of the air breathed. The provocation of bronchospasm is associated with the use of aerosolized hypertonic saline solutions used with nebulizers. Dry sodium chloride aerosol [DSCA] does not induce bronchiospasm and in fact alleviates bronchiospasms. -Respiratory Society, Glasgow, September, 2004. Three-year-old Malachi scoops up a bucket full of natural salt and pours it into a toy dump truck, while his mother Sarah Slack sits cross-legged beside him scooping salt into a bucket. Rekindling a sense of childhood playfulness in Halotherapy North's magical salt box was a daily ritual for Slack and her son throughout November and December 2010. And while Slack, a resident of Valley East, initially sought out the halotherapy sessions to prevent Malachi's recurring eczema, what she and her son experienced was more than she had anticipated. She felt a greater sense of bonding between her and her son, through the playfulness, and a complete sense of relaxation. In fact, by the end of the first week of 45-minute daily halotherapy sessions, Malachi's temperament had completely changed. Even his grandparents said he was like a totally different child, Slack says. To her surprise, he even started taking afternoon naps again. That was three months ago, at a time when Slack joined up for a one-month unlimited pass for halotherapy salt spa sessions with her son. The investment...for the unlimited salt spa was well worth it, she says. As for Malachi's eczema, Slack says he has not had any eczema since doing the salt room spa sessions. “Malachi would normally get eczema as the season changes from fall to winter, and he would normally get eczema all over his back, but this year he has not had any eczema,” Slack says. Malachi was not the only one benefiting from the halotherapy sessions. “I found I was much more relaxed, I slept much better and I had a lot more energy,” Slack says. The negative ion environment of the natural salts in the halotherapy room helps promote a sense of calm and relaxation due to its affect on stabilizing brain function and balancing the autonomic nervous system. Negative ions increase oxygen levels in the blood, which help combat fatigue and exhaustion, and improve the immune system, aid in blood purification, digestion and cell rejuvenation. 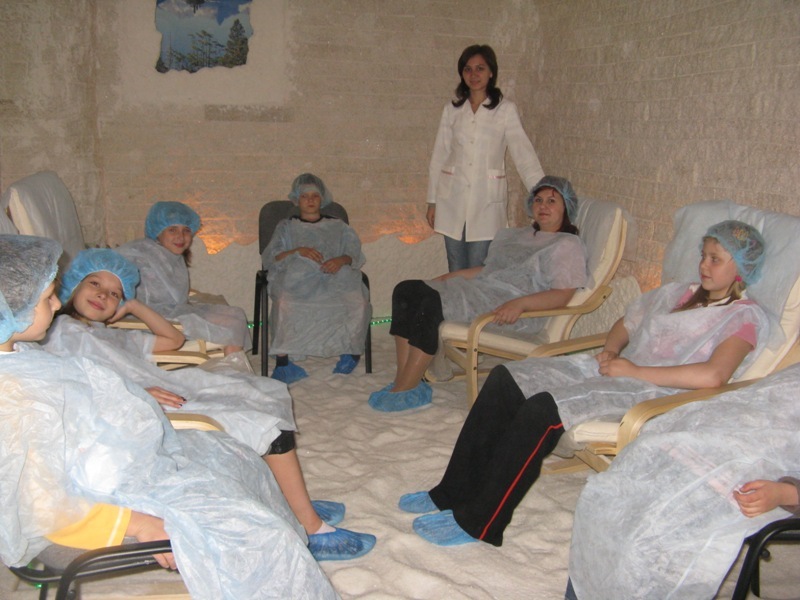 Halotherapy is a 100 percent natural and safe therapy for all ages.